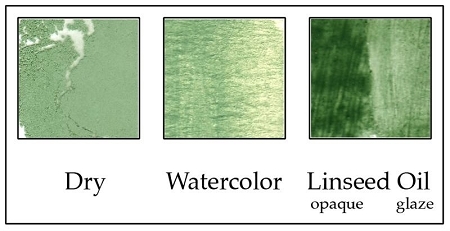 which is beautiful in its natural state, but also makes a stunning green shade in oils. Suitable for all media. Q: What is the Color Index for this pigment? What is the lightfast rating for this pigment? Is this pigment non-toxic? A: Color Index is not available. As all natural earth pigments, it is 100% lightfast and non-toxic.